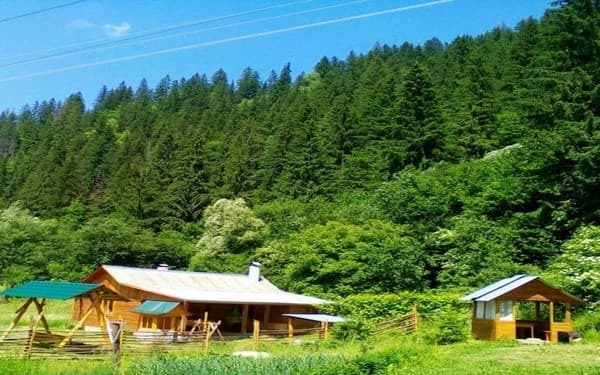 The private manor "Hutsul Hut" is located in a cozy corner of nature - Putila village near the forest near the mountain stream. 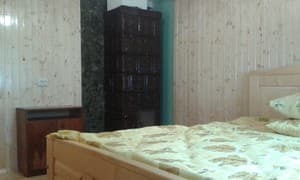 The house consists of two rooms and is designed to accommodate five people (it is also possible to deliver 2 extra beds). In the estate there is a kitchen for self-cooking. 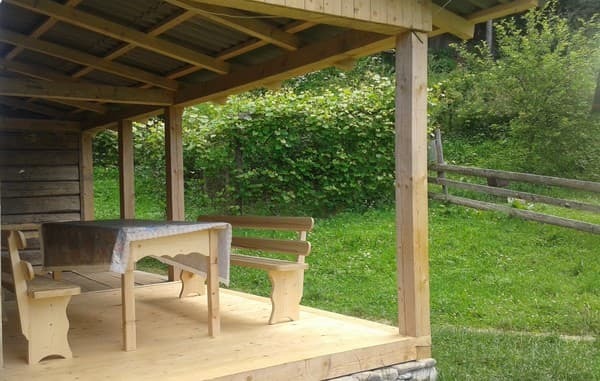 On the territory of the manor "Hutsul Hutsul" there is a terrace, gazebos, sports ground, parking places. Free Wi-Fi is available. 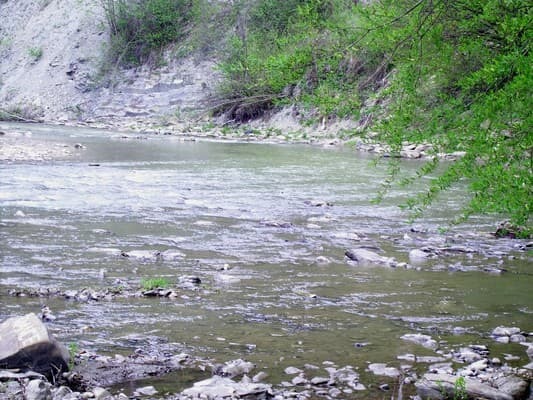 Friendly hosts for holidaymakers will organize a picnic, trekking for mushrooms, excursions to local attractions. 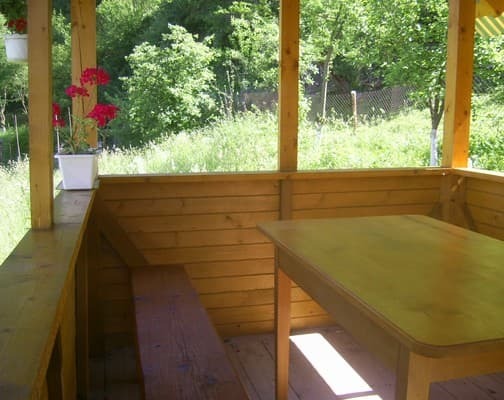 The shop, cafe, kolyba are located within a radius of 200-500 m from the house. The nearest ski lift is 3 km from the cottage. The distance to Chernivtsi is 120 km, Vyzhnitsa - 52 km, Verkhovyny - 42 km, Kosiv - 55 km. 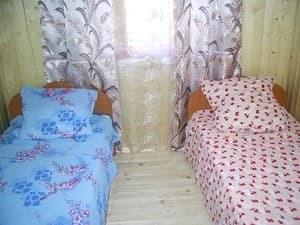 Description of the room: The area of ​​the room is 9 sq.m. In the room: two single beds, chairs. Common bathroom on the floor. 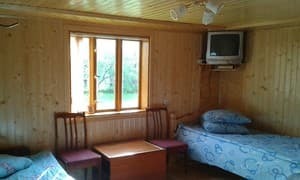 Description of the room: The room area is 16 sq.m. In the room: two sofas, a TV, a coffee table, chairs. Common bathroom on the floor. 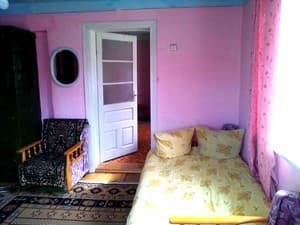 Description of the room: The area of ​​the room is 9 sq.m. In the room: double bed, chair and bedside table. Common bathroom on the floor. For children under 7 years, the cost is 40 UAH. 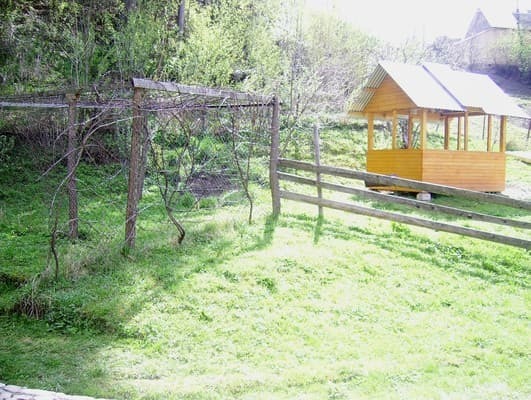 The farmstead is 50 m from the center of the village, near the forest near the mountain river Putila. The distance to Chernivtsi is 120 km, Vyzhnitsa - 52 km, Verkhovyny - 42 km, Kosiv - 55 km. The nearest ski lift is 3 km from the manor. By train / bus to the city of Chernivtsi, then - by bus to the center of town. Putila or by taxi. Buses from Chernivtsi to Putilu run every half hour, starting at 7:55. The last flight by Chernivtsi-Putila is carried out daily at 18:00. By car on the road Chernivtsi-Beregomet-Putila or Chernivtsi-Vyzhnytsya-Putila to the village.